Normal, Ill. (April 8, 2018) – 20 high school students from across the state competed in the final competition of Celebrating High School Innovators Friday and Saturday, April 7 and 8, 2018 on the campus of Illinois State University. 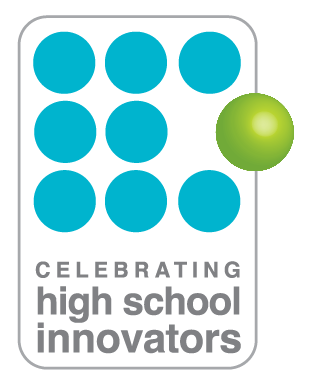 In recognition of high school students whose ideas and accomplishments are inspirational, Illinois State University, Millikin University and Pontiac Township High School teamed up to present the 3rd annual Celebrating High School Innovators Competition. The competition identifies, fosters and celebrates high school innovators in the state of Illinois whose contributions are exceptional. This year’s class of innovators were recognized for their aspirations to change the world, solve major social problems, create great new products, and push the boundaries of our organizations and communities. Rishi Modi – Business Entrepreneurship student from Illinois Mathematics and Science Academy in Aurora, IL – Innovation – GoGo Riders is a ride-sharing service that allows customers to negotiate prices for a ride with nearby drivers. Becca Nalley and Lexi Showalter – Social Entrepreneurship student from Normal Community High School in Normal, IL – Innovation – Cybercitizen- Face-to-face education for senior citizens on smart phone communication and usage. Olivia Glowacka – Business Entrepreneurship student from John Hersey High School in Mount Prospect, IL – Innovation – Travel management & social media app called Dérive Travel Experience. Maggie Shutts and Melissa Manetsch – STEM (Science, Technology, Engineering and Math) students from Libertyville High School in Libertyville, IL – Innovation – A qualitative lactose indicator or “assay” using spectrophotometry to detect and analyze competitive inhibition from onpg with the end goal of developing a small, portable, user-friendly, handheld product to be used by people with lactose intolerance. Daniel Mueller – STEM (Science, Technology, Engineering and Math) student from Morton High School in Morton, IL – Innovation – Online science and chemistry tutorial videos for students and citizens. On Saturday, April 7, participants presented their innovations in a job fair style display that were judged through interviews with 13 Coleman Faculty Fellows from Illinois State University and Millikin University. The top eleven finalists advanced to a live “shark tank” style competition at 10 a.m. on Sunday, April 8. These finalists competed for five $1,000 cash prizes and university scholarships totaling over $70,000. The events on April 7 and 8 took place at the Illinois State University Hancock Stadium Club, located at 211 N. Main St. in Normal, Ill. The CHSI Award recognition ceremony was held at 1 p.m. on Sunday, April 8. The third annual “Celebrating High School Innovators” recognition weekend gave the students the chance to meet with other young leaders and highly innovative professionals, discuss their ideas, and learn about resources available to them. “Innovation is critical to the future of Illinois, and we need more people like these exceptional students in every field. These students remind us of what can be accomplished with a good idea and a firm commitment. Their ideas will help shape the world around them, and I look forward to what else they’ll do in the coming years,” CHSI Director Paul Ritter said. “These students are some of the state’s shining examples of these traits. The work they’ve done already is amazing, and the promise they hold is more amazing still,” said Julie Shields Director of Millikin University’s Center for Entrepreneurship. The competition is endorsed by several Illinois teachers associations, and the regional superintendents of schools. The 2018-2019 CHSI Awards opens April 20th and as in previous years the students may apply under one of five categories: Arts, Media & Literature; Business Entrepreneurship; Health & Nutrition; Social Entrepreneurship; and Science, Technology, Engineering & Mathematics (STEM). Applicants compete in two rounds of competition. CHSI also supports the use of pioneering interdisciplinary curriculum designed to empower students, collaborate with a spectrum of students and professionals in multiple contexts, and foster student initiative at the high school level. For more information about the Celebrating High School Innovators Competition visit chsinnovators.org/. For further information, please contact Millikin University Media Relations Coordinator Dane Lisser at 217.420.6636 or dlisser@millikin.edu.